By using the services confirm and warrant that you are 18 or older. You agree to follow all instructions correctly on the site, including the provision of appropriate, accurate, up-to-date and complete information about yourself. You agree to update your personal information within ten (10) days in case any changes occur. Article 2 - No unlawful or prohibited use. After completing the registration form on the website, you will receive a password and you will be assigned an account. You are responsible for maintaining the confidentiality of your password and account, and bears full responsibility for all activities that occur under your password or account. You agree (a) to Canoil BV immediately make any unauthorized use of your password or account or any other breach of security, and (b) to log out after each session from your account. Canoil BV does not accept liability for any loss or damage arising from the fact that you breach this provision. All offers on the part of Canoil BV are without commitment until you have received an acknowledgment of Canoil BV which the agreement is ratified. You are aware of the technical steps leading to the ratification of the agreement, whether the agreement will be archived and accessible, and the languages in which the agreement can be arranged. Canoil BV has no obligation to provide information regarding the above prior to the ratification of the agreement. on our site. The maximum delivery time is always thirty days. If Canoil BV unable to deliver the product or products within thirty days, then Canoil BV immediately in writing (e-mail, fax or letter) to inform, in which case you has the right to terminate the agreement by written notice (by email, fax or mail) to Canoil BV. We'll payments made by you return within thirty days, without incurring any other or further liability. During the transportation of the product or products UEG Holland carries the risk of damage, theft or loss amounting to € 5000, - above this amount can be taken out a separate insurance policy. The goods are then sent by courier to you. At the time of delivery of the product or products, this risk on you. You can specify in the comments box during the order process or you want to use a separate courier when the goods to more than € 5000, - want to insure. Delivery by courier usually takes 2 to 3 days longer than the standard delivery terms. If during transport damage, theft or loss occur, the receiver must be within 7 days of receipt of goods report this to Canoil BV by email at rma@uegholland.com. Complaints 7 days after receipt of the goods are not accepted. receipt of the products you may terminate the agreement within seven days provided the factory sealed packaging of the products is intact. You should Canoil BV here to inform via e-mail and return the products immediately. You bear the risk during the return transport. In the event that payment has been made already, Canoil BV, after receipt of the goods the amount due under this Agreement will refund to you within thirty days. The shipping costs for returning the products are not reimbursed. complaints with respect to the delivered products to be treated only if the products are returned within 30 days after delivery to Canoil BV, is provided with a detailed description of the nature and extent of the defect. After this period the products are considered to be satisfactory and the delivery accepted unconditionally. 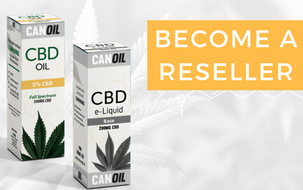 If Canoil BV believes that a complaint is justified, the company is only required to provide as soon as possible substitutes and / or to pay the purchase price using a coupon code. You are not entitled to any compensation. The cost of repair and / or research costs are borne by Canoil BV provided this is within the warranty. You have no right to a shipping fee. The guarantee referred to in this Article shall not apply in the event that the defect in whole or in part caused by incorrect, improper, negligent or incompetent use and / or if you have made any modifications to the products. The liability of Canoil BV is limited to the warranty stated in article 9. In any case the liability of Canoil BV continues to supply of defective products is limited to direct damages up to a maximum of the agreed price the products. Liability for indirect damages is excluded unless the damage was caused by willful intent or gross negligence. Subject to Article 10 paragraph 1 is Canoil BV is not liable in the event that the defect in whole or in part caused by incorrect, improper, negligent or incompetent use and / or if you have made any modifications to the products. You hereby agree to Canoil BV, its subsidiaries, affiliates, directors, agents or any other party involved in creating, producing, or to take delivery of the website or its services and to safeguard against any and all claims of third parties due to or arising out of your use of the services and / or your violation of these Terms and Conditions. , unless the contrary is proved, the administration of Canoil BV serves as conclusive evidence of the orders you have done your payment to Canoil BV and services. You hereby consent to electronic communications may be submitted as evidence. Canoil BV can not guarantee that the customs authorities, the goods you ordered, will not take. If this is the case, Canoil BV will not refund any payments. information about shipping costs and delivery time are available on the Check Out page on our website. In the event that for any reason do not pay, you will automatically be in default and will owe the legal interest on the total amount invoiced from the date due and all expenses of the collection of payments Canoil BV to make this. Canoil BV reserves the right to modify these Terms at any time. Such modifications shall be effective immediately upon posting of the modified Terms on the Internet. These Terms constitute the entire agreement between the parties and supersede any and all prior and contemporaneous agreements between the parties relating to this subject. If it is determined that any provision of these Terms is invalid or unenforceable, then such non-validity or unenforceability shall not affect any other provision of these Terms, which shall remain in full force. These Terms are governed by the laws of the Dutch law. The district court in Breda to the exclusive jurisdiction over any and all disputes relating to these Terms and Conditions.